Your satisfaction is our top priority, we are committed in processing your order, now we are bringing our service to the next level offering SAME DAY DELIVERY (Within Klang Valley) and also FREE EXPRESS DELIVERY. Order with payment before 1pm, parcels arriving before 5pm on the same day. Please note that you may be required to collect your package at Poslaju Centre in case delivery can not be made beacuse you were not available at the delivery address or invalid of addresses. If parcel bounce back to us, due to no collection or unsuccessful delivery, customer are required to pay another shipping cost for re-delivery. We are not liable for any delays caused by events beyond its control. 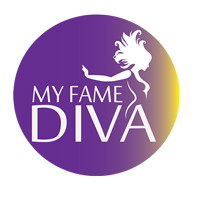 You may also contact us at support@myfamediva.com, if you have not received your order within 7 business days, we would try our very best to assist you further. For ECONOMY - Within 14 up to 35 working days *may be varies in countries, provides full-mile online tracking, however might need longer lead-time. We are not responsible for any delays caused by events beyond our control, as it involves with multiple transit stations and also cross-countries couriers. We are not taking any responbility for any delay of the parcel delivery due to invalid address provided. Should you need any assistance, please contact us at support@myfamediva.com , we would try our very best to assist you further.